Kid-friendly paint sponges for great art projects. 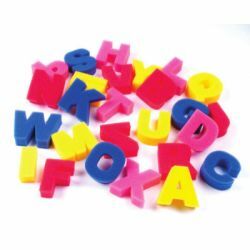 These 3" high sponges have 26 pieces, letters A-Z! Durable foam is easy to clean and dries quickly.